Sometimes, calories can sneak up on you. For example, in a study highlighted by ABC News, researchers found that the average meal ordered in a sit-down restaurant contained more than 1,100 calories. This result is surprising, the writers said, because many people think that a sit-down restaurant serves foods that are healthier and lower in calories than the foods that might be on hand in a fast-food restaurant. The people eating in these establishments did not expect high calories in their meals, but that is what they were served. While some people take in accidental calories like this, eating foods that seem healthy but that are really far from healthy, there is another group of people who take in a great deal of calories in one sitting. Many people in this group are male. These people deal with binge eating disorder (BED), and according to Psych Central, they might take in 1,500-3,000 calories in one sitting. That binge might not even be a part of a meal; it might be considered a midnight snack. Living with BED can be difficult and isolating, especially for men. Men who want to gain control will need the help of a treatment program, but some men might need a little convincing that the way they eat is actually unhealthy. When most people think about eating disorders, they think about illnesses that impact women. BED is different. Unlike other eating disorders that tend to impact women more often than men, BED is truly an equal opportunity disease. In fact, the National Eating Disorders Association says that about 40 percent of people who have BED are male. Men are developing BED, experts writing for Psychology Today say, because they are dealing with the same sorts of media expectations women have faced for decades. It is not at all unusual for men to flip through magazines and see dozens of images of men looking thin and muscular. Many commercials highlight men who are on the thin side of the body spectrum. Men bombarded by these images all day long can feel incredibly disappointed and let down when they look in the mirror and see their own bodies. They may not have dietitians and personal trainers on hand around the clock to help them nourish and shape their bodies. Some men may be unaware the extent to which Photoshop is used to smooth out curves and bumps in advertisements. When men are under constant pressure to look a specific way, they may resort to unhealthy behaviors that put them at risk for BED. At one point, BED was a bit of a mystery. While medical professionals knew that BED existed and that people who had BED faced very real struggles, there was no formal definition of what the disease was and whom it might impact. That meant people who had BED might not have been provided with targeted therapies that could help. Clinicians were not aware that these people needed a certain kind of help, because the disorder had not been tightly defined. Much of that has changed over the last few years. Now, clinicians have settled on a formal set of guidelines that detail what BED looks like, and how people with BED might respond and react. People who meet all of these criteria, and who do not use purging methods (like vomiting) in the aftermath of a binge, qualify for a BED diagnosis. Body image concerns are a prime driver for binge eating in many men. For a man like this, his body works as the focus of everything he might hate about himself. He might use very restrictive diets in order to change the way his body looks. Someone like this might hop online and read all about a substitution, miracle diet that is guaranteed to burn fat fast. The man would download the recipes and vow to drink nothing but the replacement beverage all day, every day, until the pounds melt away. But many of these diets just do not provide enough calories to allow a person to beat back hunger. As the day wears on and the stomach growls and growls, the man might begin to cheat on his diet, just a little bit. He might nibble on crackers or eat a handful of nuts. Or he might get so desperate for a meal that he gives in and eats a hamburger or a bag of chips. Losing control like this is hard for someone with BED, and it can cause feelings of worthlessness and distress. 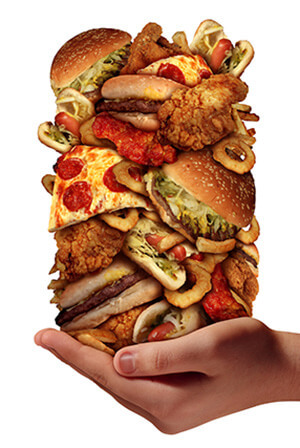 Someone with BED might medicate that distress with yet more food, and that food might be consumed in a binge. The relationship between dieting and BED is stronger in women than in men, according to research in the International Journal of Eating Disorders, but men still deal with this issue. In this study, a full 11 percent of men said that their dieting came before their binge eating. That means for at least some men with BED, dieting is a trigger, and that is an issue that can be addressed in therapy. Some facilities use approaches involving mindful eating, in which people eat when they are hungry and stop when they are full. No foods are off limits, and no real mealtimes are set. Instead, this therapy helps people to get in touch with the natural cycles of the body, and to use food in order to nourish that body, not medicate psychiatric distress. For some people, it is quite helpful. While some men come to BED through dieting, and they need approaches to help them stop dieting and learn to eat mindfully, some men develop BED in response to a painful episode that they have not or will not discuss openly. Often, that episode involves bullying. Many young people deal with bullying while they are attending school, and as The New York Times points out, being overweight is one of the most commonly cited reasons for bullying. When kids are young, they can be cruel. A child who is overweight can seem like an easy target for a bully. When boys are bullied due to weight, it can leave deep scars. Some boys simply do not forget the things their tormenters said to them, and they continue to carry the damage around with them, buried deep within their hearts, for years. When they feel low and sad, those hurtful things people said rise to the surface, and the only way to stop the pain is to do something else — like eating. That trauma can be compounded if the bullying continues into adulthood, and research suggests that this is far from uncommon. According to the Workplace Bullying Institute, 27 percent of people have current or past direct experience with bullying that happens at work. That means many people are either targets of bullies while working, or they see others being bullied. Either could awaken old wounds or cause new wounds to form. Therapy can be quite helpful in resolving this form of trauma. Clinicians can help clients to express everything they once felt too worried or afraid to say to a bully, and therapists can help their clients to understand that the things a bully says are not realistic or truthful. That could keep people from internalizing the bullying and responding with bingeing. Traditionally, men have been considered much more assertive than women. But when researchers dig into the numbers, they find that men and women are not all that different in terms of how they talk to one another. In some cases, men can be at a distinct disadvantage. In one such study, published in the Journal of Counseling Psychology, researchers found that women were more likely to express love, affection, and compliments. Men were more likely to be assertive at work. That could mean that men struggle with intimate discussions, even with the people they love, and that could result in bingeing. Men who cannot say what they mean and discuss what they feel can become men who internalize every emotion, and who feel cut off from those who might be able to help. These people might turn to food as a sort of solace and replacement for the lack of love they get from people, and that can lead to bingeing. In therapy, men can learn more about how to express their feelings, both good and bad, and they can learn more about how to reach out in a real and authentic way with the thoughts and feelings they hold most dear. Some therapists even hold practice sessions for men, so they can have an opportunity to lay down real skills in real time. That could help the urge to binge to fade. Men who have BED may not be aware that they have an eating disorder. If they are aware, they may not know about treatment programs that can help. Families can break through that knowledge gap by holding an intervention. The family might then discuss how all of these behaviors could be a part of BED, and how treatment programs could help men to control the urge to binge, so they can focus on the good things happening within their lives and families. During these discussions, it might be tempting to discuss the man’s weight or size. While that might be an issue, it is important to remember that BED is not a disorder that can be addressed in a weight loss clinic. This is a serious mental illness that springs from a number of very complicated factors. A man cannot simply change his diet or enter a weight loss program in order to get better. He needs psychiatric assistance, and that can only come at a center for eating disorders. Bringing up the weight can work like a red herring, suggesting that the family simply wants the man to weigh less. Focusing on the psychiatric distress might show the man that the family really cares and is committed to actual healing. That might be an approach the man would be more likely to respond to. Once a man enters treatment, he will need the love and support of his family. That means the family will need to be involved with the treatment program. The family needs to continue to let the man know that he is accepted and loved, and that the work he is doing is both important and respected. That might mean heading to family therapy sessions with the man, or it might mean simply being open to talking, hugging, or just listening. Men with BED have a hard road to recovery, and families can do their part to make sure men do not walk that road alone. Men with BED can and do get better. With the help of their families, and the right treatment program, it could happen for you, too.